After some uncertainty about the retirement of the previous one, Pope Francis today appointed a new Apostolic Nuncio to Belgium. The new ambassador of the Holy See to the Kingdom of Belgium, and representative of Rome to the Catholic Church in Belgium is an experienced diplomat who has served as a Nuncio since 1998. Archbishop Augustine Kasujja hails from Uganda, where he was born in 1946. In 1973 he was ordained a priest for the Archdiocese of Kampala, and he entered the Holy See diplomatic service in 1979. He served in various countries, including Argentina, Haïti, Portugal, Peru and Algeria. In 1998 he was appointed as Apostolic Nuncio to Algeria and Tunisia, and with that he was consecrated as archbishop of the titular see of Cesarea in Numidia. In April of 2004 he was transferred to Madagascar and the Seychelles as Nuncio, combined with the office of Apostolic Delegate to the Comoros. In June of that same year he also became the Nuncio to Mauritius. In 2010 he was appointed to Nigeria, where he served until his appointment today. It is assumed that Archbishop Kasujja will arrive in Belgium in the course of November. Now 70, it makes sense to assume that the archbishop will complete the five years until his retirement in Belgium. As Nuncios play an important role in the appointment of bishops (they provide detailed reports on the three candidates selected by the cathedral chapter of the diocese in question and pass that on, together with their own advice, to the Congregation for Bishops, which then passes it on the Pope. The Pope can then use the report and advice to make his choice), it is perhaps interesting to see for which bishops Archihsop Kasujja will help pick a successor. 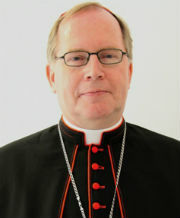 His retirement already submitted, Ghent’s Bishop Luc van Looy will probably see it accepted within the coming year. Archbishop Kasujja will probably have inherited the file on Ghent from his predecessor, Archbishop Giacinto Berloco. [EDIT: On 13 October, it was revealed that Pope Francis asked Bishop Van Looy to remain in office for two more years, until the end of 2018]. In July of 2018, Bishop Remy Vancottem of Namur will reach the age of 75. The erstwhile auxiliary bishop of Mechelen-Brussels succeeded the now retired Archbishop Léonard in the latter’s home diocese in 2010. Archbishop Kasujja will possibly also start the groundwork for the appointment of the successor of Archbishop Jozef De Kesel in Brussels. The cardinal-elect will reach the age of 75 in June of 2022, well over a year after the Nuncio, but considering the importance of the archbishop of Brussels, not least now that he is once again a cardinal, the process may well have begun at that time. In that same year, but four months earlier, Bishop Jean-Luc Hudsyn, one of Mechelen-Brussels’ auxiliary bishops, will also submit his resignation. But as auxiliary bishops are not archbishops, the preparation for the selection of new one (of there is even going to be one) need not take as long. Archbishop Kasujja’s appointments is noticeable in that he is not only the first non-European Nuncio to Belgium, but also the only African Nuncio in Europe at this time. The Apostolic Nuncio to Belgium has also been the Apostolic Nuncio to Luxembourg since 1916, when the first papal representative was sent to the grand duchy. Archbishop Kasujja will therefore soon also be appointed to that smallest of the Benelux countries. The Apostolic Nunciature to Belgium in its current form dates back to 1843, although there have been interruptions in the presence of Nuncios (there were none from 1846 to 1866, 1868 to 1875, 1880 to 1896 and 1911 to 1916). Archbishop Kasujja is the 21st Apostolic Nuncio to Belgium, and the most notable of his predecessor is the first in that list, who served from 1843 to 1846: at the time Archbishop Vincenzo Gioacchino Pecci, he became Pope Leo XIII in 1878. Fourteen of the previous Nuncios to Belgium later became cardinals. It’s another Franciscan selection for the next consistory: Pope Francis has picked 17 new cardinals, 6 of whom come from countries which have never had a cardinal before. Unlike previous consistories, the majority of the new cardinals are metropolitan archbishops. There are still three bishops, one priest, one head of a curia dicastery and – for the first time since 1998- a serving Nuncio among the new batch. Only five of the new cardinals serve in Europa in North America. The rest are spread out over Africa, Asia, South America, Oceania and the Middle East. Although he apparently still felt obliged to fill some cardinalatial sees (Madrid, Chicago, Mechelen-Brussels), this is Francis making sure the College of Cardinals increasingly reflects the worldwide Church. After the consistory on 19 November, the number of electiors who can participate in a conclave will be 121. There are 111 cardinal electors now, but Cardinals Ortega y Alamino, López Rodríguez and Antonelli will turn 80 before the 19th. Following the 80th birthday of Cardinal Sarr on 28 November the number of cardinal electors will be at the ‘official’ maximum of 120 again. Archbishop Mario Zenari, Titular Archbishop of Zuglio and Apostolic Nuncio to Syria. Archbishop Dieudonné Nzapalainga, Metropolitan Archbishop of Bangui, Central African Republic. Archbishop Carlos Osoro Sierra, Metropolitan Archbishop of Madrid, Spain. Archbishop Sérgio Da Rocha, Metropolitan Archbishop of Brasília, Brazil. Archbishop Patrick D’Rozario, Metropolitan Archbishop of Dhaka, Bangladesh. 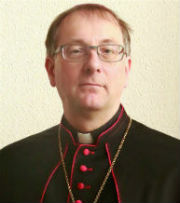 Archbishop Josef De Kesel, Metropolitan Archbishop of Mechelen-Brussel, Belgium. Bishop Maurice Piat, Bishop of Port-Louis, Mauritius. Bishop Kevin Joseph Farrell, Prefect of the Dicastery for the Laity, the Family and Life. Archbishop Carlos Aguiar Retes, Metropolitan Archbishop of Tlalnepantla, Mexico. Archbishop John Ribat, Metropolitan Archbishop of Port Moresby, Papua New Guinea. Archbishop Joseph William Tobin, Metropolitan Archbishop of Indianapolis, Unites States of America. Archbishop Anthony Soter Fernandez, Metropolitan Archbishop emeritus of Kuala Lumpur, Malaysia. Bishop Renato Corti, Bishop emeritus of Novara, Italy. Bishop Sebastian Koto Khoarai, Bishop emeritus of Mohale’s Hoek, Lesotho. Father Ernest Simoni, priest of the Archdiocese of Shkodrë-Pult, Albania. Some of these choices have come about through personal encounters the Holy Father has had or the circumstances in which the cardinals-to-be have to work, circumstances which are close to Pope Francis’ heart. Archbishop Zenari remains in Syria despite the horrors of war, Archbishop Nzapalainga hosted Pope Francis during his visit to the war-torn Central African Republic, and Father Simoni moved the Pope to tears with his lifestory of imprisonment, torture and hard labour under Albania’s communist regime. ^Seen here visiting an Internally Displaced Persons camp, Cardinal-elect Dieudonné Nzalapainga is an example of “a shepherd who smells like his sheep”. The preference for the peripheries that Pope Francis has displayed time and again should also be clear from the list of new cardinals: The Central African Republic, Bangladesh, Mauritius, Papua New Guinea, Malaysia and Lesotho are not exactly major players in the Catholic world, but the selection of cardinals from these countries should perhaps not be seen as reflecting the role of the specific countries, but the parts of the world they are in, combined with the individual merits of the chosen prelates. Here we see a shift in the balance from Europe and North America to Africa, South America, southeast Asia and Oceania, parts of the world where the Church is growing or significantly stronger than in the secularised west. Parts of the world where the Church can have a hands-on role to play in the various social situations and circumstances people find themselves in: from war and terrorism to environmental challenges and increasing development and industralisation. Major change seems to be a deciding factor in the appointment of new cardinals. In the west, then, the chosen cardinals are seen in a far more political light. What are their positions on various topics within and outside the Church? And what does that say about the positions of Pope Francis on these same issues? Some of the new cardinals, such as Archbishop Cupich, De Kesel (at right) and Tobin are considered liberal on certain inter-ecclesiastic topics, and at the same time politically inclined in the same direction as the Holy Father, especially when it comes to the question of refugees in both Europe and North America, as well as gun control in the US. In general, their appointments are befitting of this Holy Year of Mercy. Pope Francis has proven to not be too bothered with giving red hats to traditionally cardinalatial sees. In Europe, they get them in due time (with some exceptions, especially in Italy: Turin and Venice remain decidedly without cardinals at the helm), but the story is different across the pond. Despite their large Catholic populations, sees like Los Angeles and Philadelphia remain with a cardinal, despite having had them in the past. Pope Francis also tends to choose more religious to become cardinals. Of the seventeen new cardinals, six belong to a religous order or congregation: Archbishop Nzalapainga and Bishop Piat are Spiritans, Archbishop D’Rozario (at left) is a Holy Cross Father, Archbishop Ribat is a Sacred Heart Missionary, Archbishop Tobin is a Redemptorist and Bishop Khoarai is an Oblate of Mary Immaculate. Pope St. John Paul II sometimes appointed more religious as cardinals, but that was in his mega-consistories of 2001 and 2003 of 42 and 30 cardinals respectively. Of the seventeen new cardinals, fourteen will be Cardinal-Priests due to their being bishops outside of Rome, and the remaining three will be Cardinal-Deacons (as they do not lead a diocese somewhere). All Cardinal-Priests receive a title church, and the Cardinal-Deacons a deaconry; a church in Rome of which they are the theoretical shepherd, thus making them a part of the clergy of Rome working with the bishop of that city. In practice, they have no influence in the running of their title church or deaconry, although their coat of arms is displayed there, and they take official possession of it some time after creation as cardinal. While no Pope is obliged to use any of the available vacant titles and deaconries, and he is free to create new ones as he sees fit, some of these churches do stay in the family, so to speak. There are currently fourteen title churches vacant, so there is no pressing need to create new ones. Pope Francis has in the past shown to sometimes favour continuity in the granting of these titles (for example, he gave the title church he had as a cardinal, San Roberto Bellarmino, to Cardinal Mario Poli, who had succeeded him as archbishop of Buenos Aires). By that logic, we could guess that the church of San Bartolomeo all’Isola could be given to Archbishop Cupich, since it was the title church of his predecessor in Chicago, Cardinal Francis George. The other American cardinals could receive Santa Croce in Via Flaminia or Santi Giovanni e Paolo, as they were previously held by Amerian cardinals (Baum and Egan) as well. For the three Cardinal-Deacons there is a choice of 10 vacant deaconries, so any guess is as good as the next, really. The new bishop of Bruges comes from the neighbouring Diocese of Ghent. He has been the dean of Ghent for only about a month. Bishop-elect Lodewijk, Lode for short, Aerts will succeed Jozef De Kesel, the bishop who was appointed to the Belgian capital last year. At 57, the new bishop will be the youngest of the Belgian bishops. A priest since 1984, he is a doctor of theology, taught at the diocesan seminary and was responsible for the youth work, education and formation in Ghent. Earlier this year he was appointed as the dean of Ghent, one of the ten new deaneries created in that diocese. In Bruges, Bishop-elect Aerts will be the 27th bishop since the diocese was created in 1559 (although in Napoleonic times it was part of Ghent for a while). He succeeds Jozef De Kesel, who was bishop of Bruges for five years. 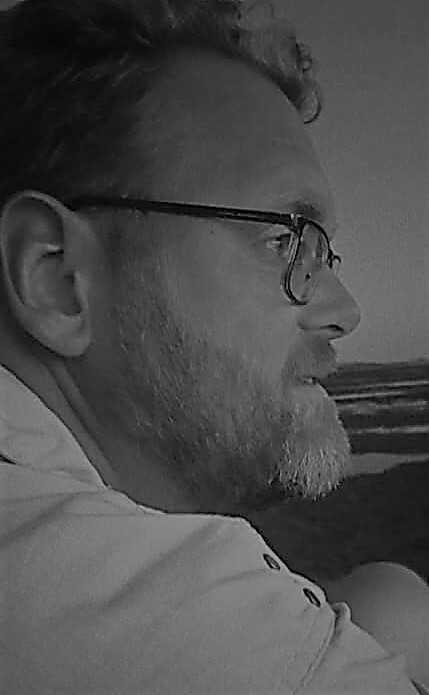 Before that, Bruges was headed by Roger Vangheluwe for 26 years. He was forced to step down after he admitted to sexually abusing a family member. This appointment may be considered one of the list files worked on by retired Nuncio to Belgium, Archbishop Giacinto Berloco. The official announcement of the new appointment was made in Brussels, as Belgian bishop appointments usually are, by Archbishop De Kesel, and the new bishop later travelled to Bruges to meet the staff of the diocesan offices. The consecration of Bishop Aerts is scheduled for 4 December in Bruges’ Cathedral of St. Saviour. The names of the three consecrating bishops have not been announced, but it is a safe bet that Archbishop De Kesel and Ghent’s Bishop Luc van Looy, who may be retired by that time, will be among them. In Belgium a second diocese is expected to soon fall vacant, as Bishop Luc van Looy celebrates his 75th birthday today. The bishop of Ghent has been in office since 2003, and was a personal choice of Pope Francis to attend the second assembly of the Synod of Bishops last year. The other vacant diocese in Flanders is neighbouring Bruges, which saw its bishop, Jozef De Kesel, leave last year to become archbishop of Mechelen-Brussels. The Diocese of Ghent is largely coextensive with the Belgian province of East Flanders (it also includes one municipality of the Province of Antwerp) and has recently been reorganised into ten deaneries. Bishop van Looy is its 30th bishop since the diocese was established in 1559, during the great reorganisation of dioceses in what was then the Spanish Netherlands. Although Bishop van Looy offers his resignation to the Pope upon reaching the age of 75, the Holy Father has no obligation to immediately accept it. In fact, unless there is a likely candidate waiting in the wings, Bruges may be first in line for a new bishop. And then there is the question of the Apostolic Nuncio, who plays an important part in the appointment of new bishops. Archbishop Giacinto Berloco has been the Nuncio to Belgium and Luxembourg since 2009, and turned 75 himself on 31 August of this year. Belgian media have been treating recent appearances of the nuncio as something like farewells, and a resource like Catholic Hierarchy already lists him as retired. No announcement of a retirement has been released through either the Belgian bishops or the Holy See, however. Whatever the current status of the official representative of the Holy See to Belgium may be, for now we may assume that Archbishop Berloco remains in office. But we may equally assume that that situation will change soon. In the meantime, Bishop van Looy celebrated his birthday with his closest coworkers in the bishop’s house. To the reporters present he said he was not concerned with when his resignation would be accepted: “Come what may!”. In the two weeks since the blunt announcement that the Archdiocese of Mechelen-Brussels would be discontinuing all its relations with the Fraternity of the Holy Apostle, there has been much silence from said archdiocese. This despite the debate that erupted about the topic, in which commenters were almost unanimously opposed to the decision. But despite a lack of official and public comments, Archbishop Jozef De Kesel has met with a delegation of laity, and from this some developments have emerged, Katholiek Nieuwsblad and La Libre Belgique report. Sadly, the decision of cutting all ties with the Fraternity remains, but the archbishop has had to accept a setback: dozens of people have appealed the decision, forcing at least a month’s respite. Originally, the archdiocese had announced to sever all ties by the end of June, in other words: today. There was more positive news in the meeting: the priests attached to the church of St. Catherine can remain there while Archbishop De Kesel is in office (and, one would hope, after that). On the other hand, the archbishop is also open to another diocese, in Belgium or abroad, taking on canonical responsibility for the Fraternity. How likely that is, considering that his decision was apparently made in full agreement with the other Belgian bishops and Rome, remains anyone’s guess. The 200-strong parish of Saint Catherine’s has extended an invitation to Archbishop De Kesel to come and visit, an invitation he has promised to accept once the storm has died down. Today, the feast of Saints Peter and Paul, Pope Francis will once again be giving out he pallia to the world’s new metropolitan archbishops (or to their representatives). The actual imposition of the woolen band signifying the bond with the Rome and the world Church will take place in the archdioceses at a date of the prelates’ own choosing, per the changes introduced last year. Most of the archbishops will still come to Rome, even if there is no official imposition taking place. Among these is Mechelen-Brussels’ Jozef De Kesel, the only archbishop from northwestern Europe in this year’s relatively small crop. 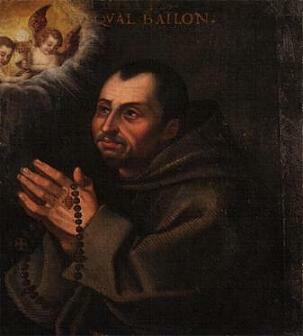 “The Church wants you to be men of prayer, masters of prayer; that you may teach the people entrusted to your care that liberation from all forms of imprisonment is uniquely God’s work and the fruit of prayer; that God sends his angel at the opportune time in order to save us from the many forms of slavery and countless chains of worldliness. For those most in need, may you also be angels and messengers of charity! The Church desires you to be men of faith, masters of faith, who can teach the faithful to not be frightened of the many Herods who inflict on them persecution with every kind of cross. No Herod is able to banish the light of hope, of faith, or of charity in the one who believes in Christ! The Church wants you to be men of witness. Saint Francis used to tell his brothers: “Preach the Gospel always, and if necessary, use words!” (cf. Franciscan sources, 43). There is no witness without a coherent lifestyle! Today there is no great need for masters, but for courageous witnesses, who are convinced and convincing; witnesses who are not ashamed of the Name of Christ and of His Cross; not before the roaring lions, nor before the powers of this world. And this follows the example of Peter and Paul and so many other witnesses along the course of the Church’s history, witnesses who, yet belonging to different Christian confessions, have contributed to demonstrating and bringing growth to the one Body of Christ. I am pleased to emphasize this, and am always pleased to do so, in the presence of the Delegation of the Ecumenical Patriarchate of Constantinople, sent by my beloved brother Bartholomew I. This is not so straightforward: because the most effective and authentic witness is one that does not contradict, by behaviour and lifestyle, what is preached with the word and taught to others!